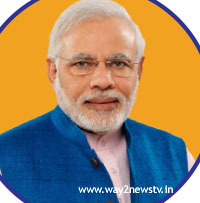 The NDA government led by Prime Minister Narendra Modi is preparing a 2018 Annual Plan in view of the eight state assembly elections this year. Agriculture Minister Arun Jaitley has announced that the annual budget of the year in the Lok Sabha will be highlighted for agricultural and labor-related welfare and irrigation projects. Assembly elections in Meghalaya, Nagaland, Tripura and Karnataka are to be held this year. The notification for this election may come in the second or third week of February. The elections will also be held in Rajasthan, Madhya Pradesh and Chhattisgarh as well as the Mizoram legislative assembly. It is the immediate task of Prime Minister Narendra Modi and BJP president Amit Shah to bring the party to power in Karnataka, where the ruling party is in power for the fourth term in the ruling Madhya Pradesh, Rajasthan and Chhattisgarh. That is why both leaders have been meeting on the prospects of BJP in their respective states. Amit Shah has already started election campaign in Karnataka. Reports presented by the party departments from the states have been trying to include the election strategy based on the reviews and the efforts to incorporate the party's success in the budget. Arun Jaitley has already made several rounds of talks with Narendra Modi and Amit Shah on the issue, party sources said. The victory of the BJP with the lowest margin in the Gujarat assembly elections has opened the eyes of the party's supremacy. The BJP leaders have estimated that the abolition of old nods and the implementation of GSTT have a huge impact on the election. In fact, the problems faced by the farmers in rural areas over the two important factors have led to the BJP getting majority. The BJP's supremacy is hoping that the party's death in the Gujarat assembly elections has been averted by the neglect of the problems faced by the farmers. Meghalaya, Tripura, Nagaland and Karnataka Legislative Assembly elections will be held in March and April this year. Mizoram, Chhattisgarh, Madhya Pradesh and Rajasthan legislative assemblies will be held this year. In Madhya Pradesh and Chhattisgarh, the BJP has power from three turfs. Came to power in the last elections in Rajasthan. The situation in Gujarat is the same as in Madhya Pradesh, Chhattisgarh and Rajasthan, where the BJP leadership is afraid of the situation. Narendra Modi and Amit Shah, who feared that the prestige would be badly hit by Gujarat as their own state, were campaigning with the strength of the party. In Gujarat, it is unlikely that the election campaign in Madhya Pradesh and Chhattisgarh will not be possible. So, the Modi, Shah and Jaitley trilogy trick is to get the benefits of incorporating the schemes associated with these States in the Budget and making it available to farmers and farmers' The budget for the agriculture, labor and farmers' benefits is being included in the budget. The Modi government has taken several steps to reduce the agitation of farmers in the elections. Party sources said that the GSTC councils are taking measures to further reduce the impact of the GST by the time of assembly elections.